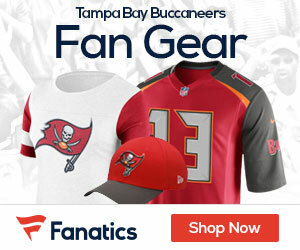 A pair of young 1-3 teams do battle Sunday when the Buccaneers play host to the Jaguars at Raymond James Stadium at 1pm. Jameis Winston played his worst game of his young career against the Panthers last Sunday. He completed just 52.2 percent of his passes with four touchdowns and three interceptions in his first three games before things got worse last Sunday. He threw four picks – including one that was returned for a score – in a 37-23 home loss to Carolina. Winston was 26 of 43 attempts for a season-high 287 yards and two touchdowns. 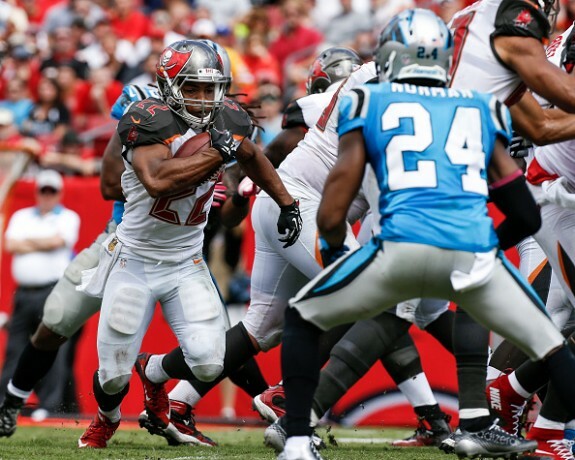 The Buccaneers won 26-19 at New Orleans on Sept. 20 in his only game without an interception. The young QB will look to his new favorite WR, Vincent Jackson. The veteran wide out finished with season highs of 10 catches and 147 yards with a touchdown. The veteran receiver had nine receptions for 145 yards and a score over the first three games. Running back Doug Martin also had a big game with 106 yards and a touchdown, but Jacksonville (1-3) is fourth in the NFL with 83.0 rushing yards allowed per game. The Jaguars held Indianapolis to 60 yards and 2.5 per carry in last Sunday’s 16-13 overtime road defeat. The Jaguars at 1-3 have a lot in common with the Bucs, as they too have a young QB in Blake Bortles. Their young QB has been inconsistent in his second season. He had arguably his best half in 17 career starts last Sunday when he completed 14 of 18 passes for 179 yards and a touchdown in the opening two quarters. But he couldn’t lead the Jaguars to any points while connecting on 43.8 percent of his attempts in the second half and overtime. That’s been a troubling trend as Bortles has the NFL’s 10th-best first-half passer rating (99.7) but worst second-half mark (59.2). Young second-year wideout Allen Hurns put up a good game in the OT loss, as he had career highs of 11 receptions, including an eight-yard touchdown – and 116 yards against the Colts. The Jags should be able to get T.J. Yeldon going in the running game. The rookie is coming off his best game as a pro with 105 yards on 22 carries last weekend. This could be a fun game between two young teams, or a complete stinker. The winner will come down to the team that makes the less mistakes on offense, and right now that is Jacksonville, as Winston will make one or two bad decisions to cost his team the game. Looking to make some fast this this weekend?! Get in on a great one day fantasy league and get paid right after you win – play now! Boy, Doug Martin had himself a game. He’s back. Now we know what happened. The Buccaneers whipped the Jaguars. They are much improved over last year but it looks like they are going to take some bumps again with a rookie quarterback.